What do Google, Wegmans, Build-A-Bear Workshop, and Zappos all have in common? Recently, Fortune ranked the country’s 100 best companies to work for, and after digging deeper into the data, found that culture was a key consideration for employees of most of the organizations on the list. This isn’t a new idea, and it certainly shouldn’t come as a surprise. After all, we hear a lot about corporate culture these days — praising organizations like these that have a strong corporate culture and lamenting those that don’t. Organizational culture is still largely misunderstood. Even the idea of a “good” or “bad” culture is a misconception. Corporate cultures cannot be inherently good or bad, though they may certainly be effective or ineffective in helping you drive the performance you’re looking for. At its core, culture is just a collectively agreed-upon way of doing things that develops over time as people in the organization learn what works and what doesn’t. What most people describe as a toxic or unsupportive culture is really just a system and way of doing things that, at one time, probably helped the organization thrive. As these behaviors become outdated, they become ineffective — and can derail a company. Many organizations cling to “what’s always been done,” which constantly pushes against innovation; as a result, earnings and other key performance metrics begin to lag. Those dips can make managers do some interesting things in an effort to restore their companies to greatness. As executives become laser-focused on chasing earnings, they may lose sight of the bigger picture. They become focused on treating the surface-level symptoms, never diagnosing the deeper cultural dilemma. But as Google, Wegmans, Build-A-Bear Workshop, and Zappos all know, your organizational culture impacts your earnings more than you might think. Businesses don’t start out with sluggish or hostile cultures, and they certainly don’t last long that way. Businesses that develop a way of doing things that doesn’t work don’t tend to stay in business very long. When you’re not actively assessing and improving your corporate environment, asking for employee feedback, and making necessary changes to stay relevant in your current operating environment, you’re planting the seeds for future failure. That’s not just a feel-good sentiment — employees who feel supported are more loyal and more motivated to come to work every day. When you take care of your employees by encouraging the right behaviors, you’ll create a positive domino effect that will ripple all the way to your customers. Culture can also serve as a great competitive advantage. Companies that take the time to understand and proactively shape their cultures are able to evolve to meet the demands of their business environments much more quickly and easily than competitors who leave everything to chance. They perform better in the long run because their employees are aligned with their direction, eager to add value, and willing to get on board with any organizational changes. Empirical research shows that companies that prioritize culture perform better than those that don’t. So why are so many businesses still stuck in ineffective environments? I suspect that many of these leaders know that their companies’ cultures are negatively impacting performance, but they don’t know how to assess — let alone evolve — the behaviors of their employees and align them with their overarching strategies. 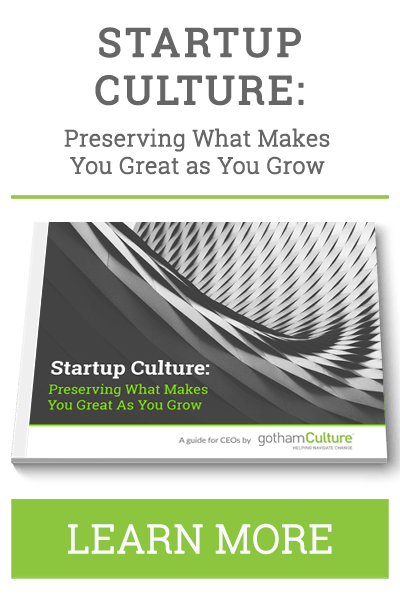 Ideally, your culture should be top of mind before you’ve even formed your company. Unfortunately, it doesn’t always work that way. If you’re wondering how to steer your company’s culture back on track, it’s not too late. Take an honest assessment. You must be willing to acknowledge your weaknesses to strengthen your company. By figuring out where your culture has gone sour, you can make needed changes to ensure greater employee satisfaction and, ultimately, reap greater financial benefits. Start a dialogue with your teammates about your current culture. Encourage them to be candid, then brace yourself for an onslaught of (hopefully constructive) criticism. If they haven’t felt comfortable sharing their opinions before, there may be a lot of pent-up frustration waiting to be aired. Set your ego aside. Be willing to accept that certain methods that served you well in the past might need to be moved to the corporate “museum.” Recognize that it’s time to do some things differently to succeed in a new business environment. Admitting that some aspects of your business have gotten away from you is, no doubt, humbling. But there are plenty of talented, capable experts who can help you implement positive changes that will ensure your company’s future success. 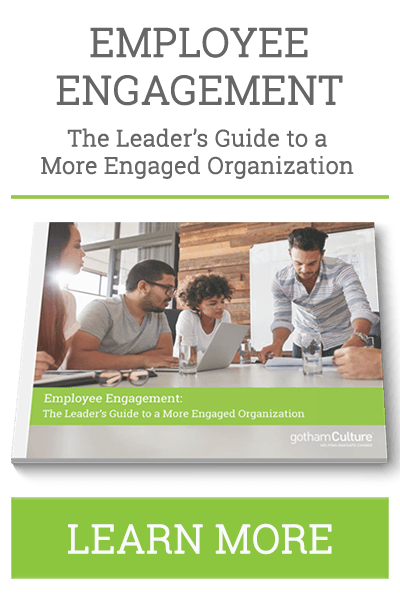 Engage your team in the cultural reform. Culture is a collective concept, which means lasting change can’t happen without everyone’s help. Invite your employees to offer input at town hall-style meetings, and ask for feedback throughout the process. You’ll notice a shift in the atmosphere as soon as you start acknowledging and implementing employee ideas. An effective organizational culture is all about clarity and alignment, and if you do it right, it will help you turn a healthy profit. The organizations that are best able to articulate what they stand for inspire their employees to work hard and dedicate themselves to a bigger purpose.